From the everyone's using Facebook these days department... Aesop Rock @ Emo's on Nov 17th... with Rob Sonic, DJ Big Wiz, Black Moth Super Rainbow, Blockhead with DJ Signify. Aesop Rock (born Ian Matthias Bavitz on 1976-05-11) is an American hip hop artist. He was in the forefront of the new wave of underground acts that emerged during the late 1990s/early 2000s. He is signed to El-P's Definitive Jux label. A Long Island, New York-born MC, Aesop initially recorded and released two self-financed records, Music for Earthworms (1997), featuring underground legend Percee P on two tracks, and the Appleseed EP (1999), while also working as a waiter. These two independent releases are widely sought after in the underground scene. Labor Days was followed by Bazooka Tooth in 2003. For the first time, production was mostly handled by Aesop himself, with three tracks from longtime collaborator Blockhead and one from close friend and Definitive Jux label CEO El-P. Guest appearances include Party Fun Action Committee, El-P, and Mr. Lif (all Definitive Jux labelmates) and Camp Lo. 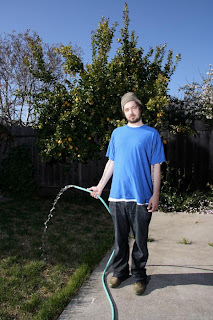 With this release Aesop hit a higher level of recognition, releasing "No Jumper Cables" as a single and music video, then another single, "Freeze," shortly after. In the summer of 2004, Aesop Rock appeared on the Evil Nine Single "Crooked" from the Album You Can Be Special Too, on Marine Parade records. In February 2005, Aesop Rock released a new EP, Fast Cars, Danger, Fire and Knives. The first pressing of the EP included an 88 page booklet with lyrics from every release from Float until this EP (the lyric booklet is titled The Living Human Curiosity Sideshow); later pressings of the album come without the booklet, but with an additional bonus track. In addition, a limited number of albums were available direct from Def Jux with Aesop Rock's graffiti tag on them. In response to demands from his fans, Aesop did less production on the EP: three songs are produced by Blockhead, three produced by Aesop, and one by Rob Sonic. All Day was followed in August of the same year by Bavitz's fifth full-length album, None Shall Pass (2007).